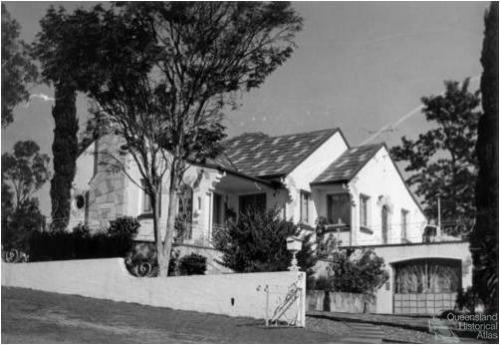 Interwar Spanish mission style home, Durack, Brisbane, 1972. 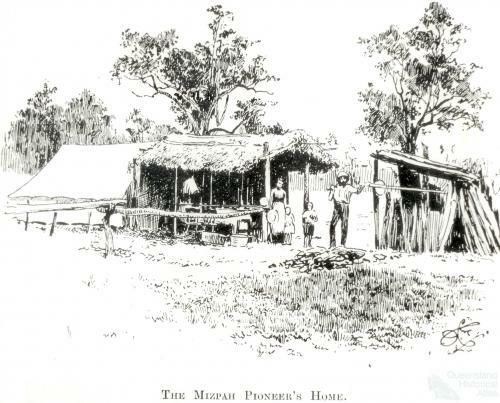 Spanish-style homes proliferated in post-war Queensland, recalling an image of Spain that was Utopian and pre-industrial. 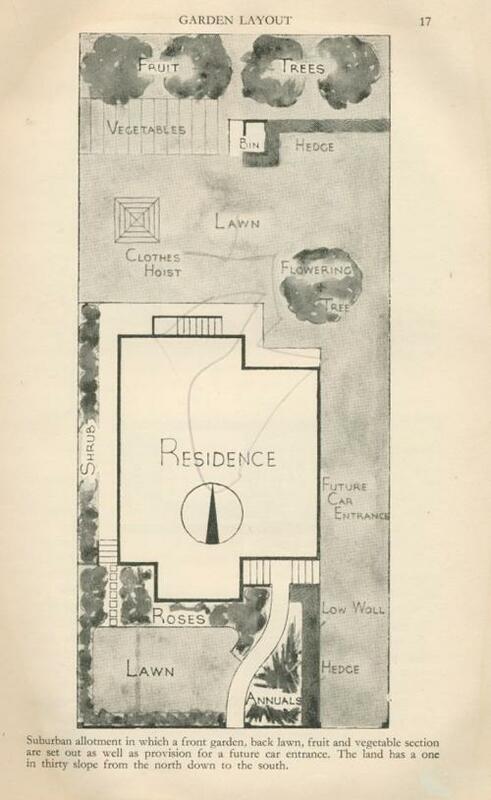 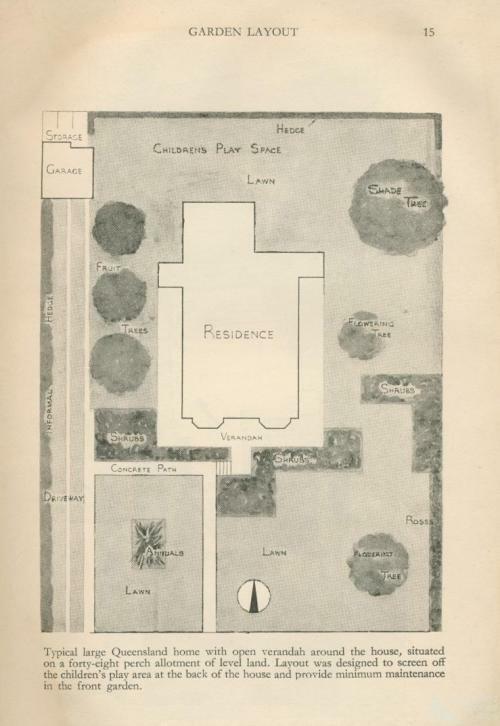 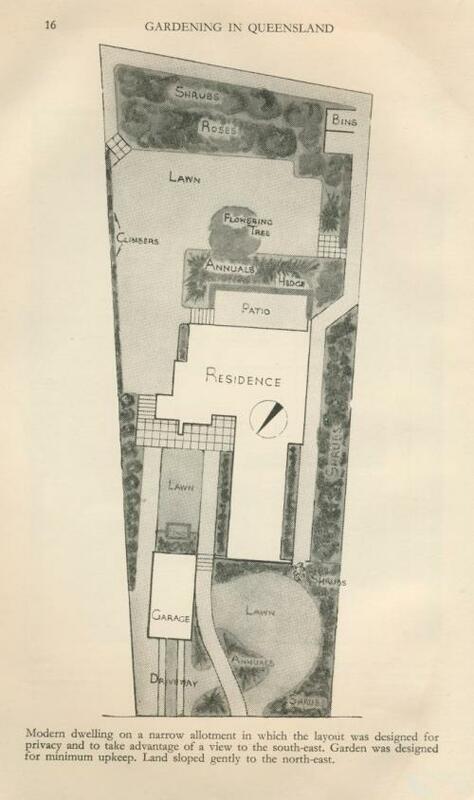 Garden layouts from H. Oakman, Gardening in Queensland, Brisbane, Jacaranda Press, 1960. 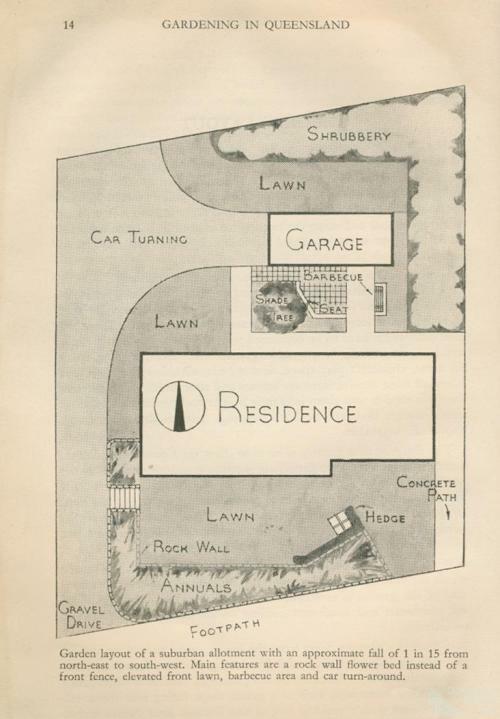 Sam Murton, a widower, and his sons (left to right) Steve, Bert, Bill, Victor and Arthur.